← Cute Stationery from Blippo! I didn’t put a lot of thought or time into it, but in that sense, I think it’s a real gut-reaction true-blue representation of stuff that I’m drawn to. Colors, sweets, and friends! Love this! That Meadham Kirchhoff collection is my favorite! Can anything ever top it!? I don’t know! I’ll be excited when it happens! Yep, I’m all about that whole thing. I’m so boring. My mood board probably looked like this 3 years ago too. Hheehhehehe. So colourful. I love it! Ha! I think this is perfect! I’m slowly developing into a gal who’s moodboard doesn’t change seasonally too, so I understand! LOVE this, though! Thank you, lovely Zie! I am kind of curious about my next evolution, but until then….. rainbows, toys, and sweets always! Thank you so much! I am interested to see how the person I’m working with interprets everything! pastels meet bright colours! love it, makes me super happy!! I just opened a shop and I am looking to get it out there! All of the profits are aiding me in college and while I study and travel during that time. The shop is named Sweet Treasures (coinciding with my blog Sugar Pirate). I sell a variety of items and plan on adding about 12 new items within the next few days. 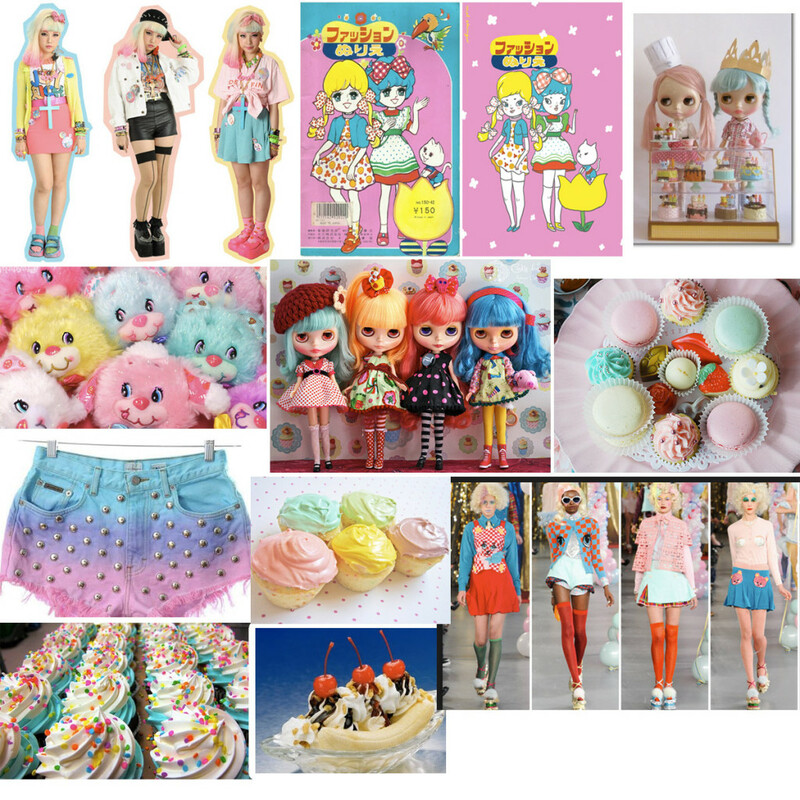 Mostly, I sell kawaii/decoden items but there will be a variety. I have included a smoker’s sections for adult and will be selling lighters and ash trays. I also plan to add some flower crowns and other accessories. I hope you enjoy! it’s awesome! my daughter does this alot – ive never….but i think I may now – im like you – ive liked the same things forevs so im not sure it would change that much….but looking at a bunch of your fav things would rock Thanks!